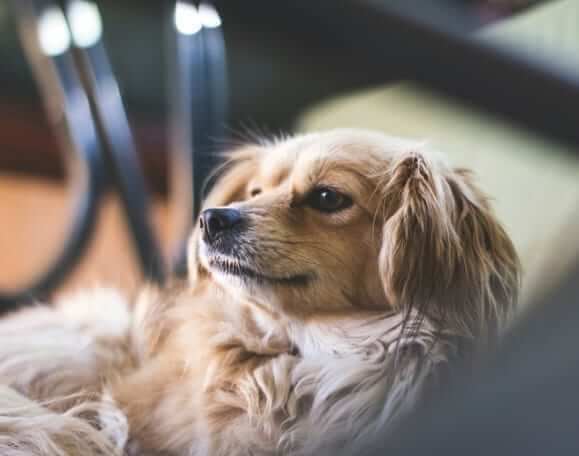 If your dog or cat is more like a beloved family member to you, you are probably looking for ways to keep them safe at home. Here are a few pet safety tips and tricks you can use with your home security system. Monitored smoke and carbon monoxide detectors are a necessity in every household. They are as important for your pets’ safety as your own. Fires and carbon monoxide leaks can happen while pets are at home alone – should something go wrong you want to have these detectors working and monitored – so help will be on the way immediately. First responders suggest that you leave your pets near the entrance of your home. They will easier to reach in the case of an emergency. Buy a cling decal such as this one to place on your front door or on a window near your front door. That way emergency crews will know that you have pets inside that need rescuing. Temperatures frequently reach triple digits in the Central Valley during summer and even inside your home can be too hot for your pet. Temperatures of 75 degrees and up have the potential to be dangerous for animals. Fans do not work as well to cool down animals as they do humans. It’s important to make sure your house is properly air conditioned. If you have a home automation system you can easily control your homes’ temperature from your phone. If you want to see what your pet gets up to while your away, you’re not alone. Many home automation users check their indoor cameras to see what their pet is up to while they’re out for the day – and to make sure they’re not getting in to any trouble! If you have a dog walker or someone who checks in on your pet from time to time, you can allow them access to your home without a key – you can even open your door for them wherever you are! If it gets dark outside and you forget to leave a light on, there is no need to fret. With home automation services you can log into your App from your smart phone and turn on a light or two for your pet. You may not always be able to be at home with your pet, but your security system can!